Senior Features Editor, covering SoCs, displays, cameras, and everything in between. While expensive flagship smartphones grab all the headlines, there’s a booming market for low-cost handsets in the U.K., which are great if you want to save some cash. While you won’t receive all the latest bells and whistles, cost-effective smartphones still offer competitive performance, camera quality, and extra features without breaking the bank — if you know where to look. If you’re sick of forking out a small fortune for every phone, or you’re looking for an inexpensive first foray into the world of Android, you’re in luck. Here are some of the best phones under 200 pounds you can buy in the U.K.
Editor’s note: We will update this list of the best phones under £200 regularly as new devices launch. Motorola’s Moto G series has always been known for offering great value for money, and the new Moto G6 is no different in this regard. Announced in April this year, it sports a 5.7-inch Full HD+ display and is powered by the Snapdragon 450 chipset. It’s available with 3GB of RAM and 32GB of storage or 4GB of RAM and 64GB of storage. However, only the former comes in under 200 pounds, retailing for exactly 199.99 pounds (~$260). The 64GB variant will set you back additional 40 pounds (~$52). The Moto G6 has a headphone jack and features dual-SIM support. The Moto G6 has a metal body, a dual-camera setup on the back, and a 3,000mAh battery. It doesn’t feature an official IP rating, but it is splash resistant. The dual-SIM device supports expandable storage and has a headphone jack. Unfortunately, NFC isn’t on board, so this isn’t the device for you if you want to use a service like Google Pay. The Moto G6 isn’t part of the Android One family, but it still offers a stock-like software experience — it runs Android 8.0 Oreo. It launched in a few different colors, but it’s only available in deep blue in the U.K. The Nokia 6 (2018), also known as the Nokia 6.1, was officially announced in January this year. It’s a mid-range device that offers great value for money. It features a 5.5-inch Full HD display with a 16:9 aspect ratio, a Snapdragon 630, and 3GB of RAM. The Nokia 6 (2018) is an Android One device. The phone has an aluminum body and sports a 16MP primary camera kitted out with Carl Zeiss optics. It also supports Bothie mode, which lets you use the front and back cameras simultaneously for split-screen photos and videos. The Nokia 6 is an Android One device, so it runs a stock version of Android and will get at least two years of OS updates. You can get the Nokia 6 in blue and black. Both have orange accents around the camera, fingerprint scanner, and the edges, which gives the device a bit more character. You can get it from Carphone Warehouse for exactly 199 pounds (~$259). The second and last, Nokia device on our list of the best phones under 200 pounds is the Nokia 5.1. It looks similar to the Nokia 6 (2018), only a little less flashy. It lacks the bright accents around the edges and other places. Read next: Best Nokia phones — what are your options? The Nokia 5.1 is also part of the Android One family and sports a 5.5-inch display like the Nokia 6, now with an aspect ratio of 18:9. It’s powered by the MediaTek Helio P18 chipset and only comes with 2GB of RAM in the U.K. That doesn’t sound like a lot of power, but it’s enough for average users. The phone only has 16GB of storage, but you can thankfully expand it with a microSD card for an additional 256GB. Other specs and features include a 16MP camera, a metal body, and a 2,970mAh battery. You can get it in black or blue for 190 pounds (~$248). 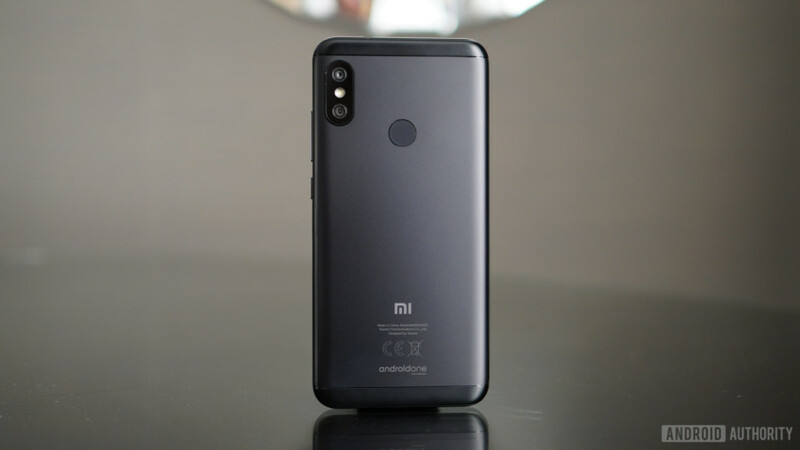 The Mi A2 Lite is among the best Xiaomi phones on a budget and the best phones under 200 pounds you can get. It’s an Android One device, so you get a clean OS experience without the MIUI skin on top. Major specs and features include a 5.84-inch Full HD+ display, the Snapdragon 625 chipset, and a dual-camera setup at the back with 15 and 5MP sensors. The Xiaomi Mi A2 comes in two memory variants: one with 3GB of RAM and 32GB of storage and the other with 4GB of RAM and 64GB of storage. Fortunately, both models come in under 200 pounds. The entry-level variant can be yours for 170 pounds (~$221), while the 64GB option retails for 195 pounds (~$254). The price difference isn’t massive, which is why we recommend going with the latter. The phone has a metal body for a premium feel, but it looks a bit generic. Then again, you can’t expect anything else in this price range. It also features a massive 4,000mAh battery and a headphone jack. Along with Nokia, the Honor brand has been revitalizing the mid-range smartphone market across Europe, and the Honor 9 Lite is among the best and most affordable options available. The phone’s big selling point is its four-camera setup, with dual cameras on both the front and back. This combination utilizes a regular 13MP sensor and 2MP depth sensor on both the front and back, offering a wide aperture mode and a portrait mode to take advantage of the depth of field captured by the secondary lens. The results are pretty good, but not quite as consistent as more expensive options. The Honor 9 Lite features a Full HD+ 5.65-inch display with an 18:9 aspect ratio, which is very popular in flagship smartphones at the moment. It packs in the very capable Kirin 659 chipset, paired up with 3GB of RAM and 32GB of internal storage. The battery comes in at 3,000mAh. The compromises include no fast charging and no USB Type-C port, but that’s par for the course at under 200 pounds. You can get the handset from Carphone Warehouse for 150 pounds (~$195) SIM free. The Galaxy J6 (2018) is the cheapest device on our list of the best phones under 200 pounds. It comes with a 5.6-inch display with an aspect ratio of 18.5:9 and relatively thin bezels, which gives it a modern look. The device is powered by the Exynos 7870 chipset and comes with 3GB of RAM and 32GB of storage in the U.K. There’s a microSD card slot on board, so you can expand the storage for an additional 256GB. The phone also features a 13MP primary camera, has a headphone jack, and supports facial recognition. It’s software-based, though, so we recommend sticking with the fingerprint scanner on the back. The Galaxy J6 is available in black, gold, and silver. You can order yours from Amazon for exactly 142 pounds (~$185). There you have it, our best picks for phones under 200 pounds. If you want to spend a bit more, check out our guide to the best phones under 500 pounds. If you have any personal recommendations in the sub-200-pound price bracket, let us know in the comments.